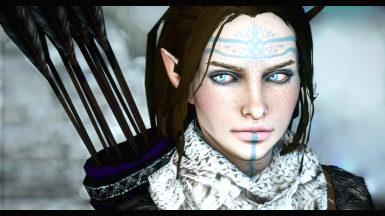 A collection of new 2K and 4K eyebrows for Elves, Humans, and Dwarves. Honestly, just ask me if there's something you would like to do with these textures. Chances are I'll say yes or give a conditional, I just like knowing where my content is going. Special thanks to Settrah for being the inspiration and template behind some of the brow shapes. 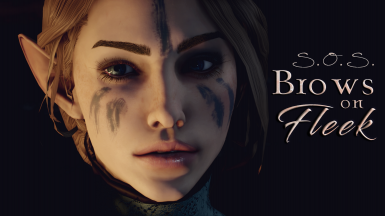 Added a Frosty version for both of the Basic Brows sets. A set of high-resolution brows in which aims to be more pronounced and natural, each hair was individually hand-drawn in hopes of resulting in something more realistic. The brows are true to how they are photographed and will display as is regardless of your resolution in Cinematic Tools. They should be visible not only during screenarchery, but also in general gameplay. Please let me know if you experience any particularly strange lighting and/or pixelating and I'll see if I can fix it. ∘ Some of the last 6 brows (Green channel) have issues with (Red channel) normals peeking through. ∘ Sparse version is included for those who prefer less full brows. ∘ Download the desired mod and extract the .daimod using a program such as WinRAR or WinZip. ∘ Place the extracted files into your designated mods folder. ∘ Merge using DAI Mod Manager with the Mod Path directing to the folder you downloaded to earlier. ∘ Download the desired mod and extract the .fbmod and .archive files using a program such as WinRAR or WinZip. ∘ Launch the Frosty Mod Manager and click Import Mods. ∘ Select the .fbmod file you want to load up and toggle the checkmark to enable the mod in game. ∘ Launch directly from the Frosty Mod Manager in order to play. ∘ For a more in-depth guide, please see this video. In order to use both, DAI Mod Manager and Frosty Mod Manager, please refer to this video. ― All eyebrows are replacers and are incompatible with one another and/or other mods that alter the uh_eyebrows_m and uh_eyebrows_n entries. 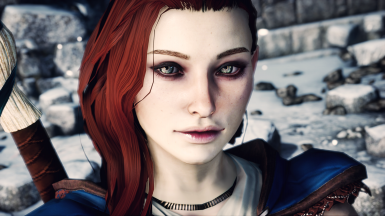 You may, however, use one set of standard global brows (humans, elves, dwarves) along with one set of Qunari brows as they do not share the same files. 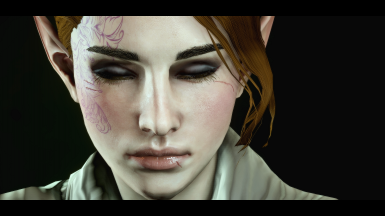 ― Some brows may appear to have a strange fuzzy/pixelated/shiny lighting to them in CC but it will go away once in game. 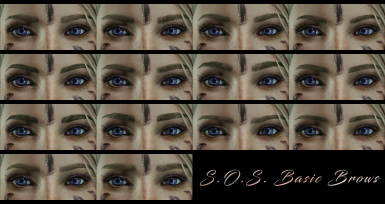 ― Brows will not always look the same depending on the race and head shape used, so please play around with the sliders before screaming at us about their placement on the face. 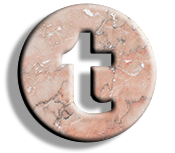 Come hang out with us on Discord and Tumblr!